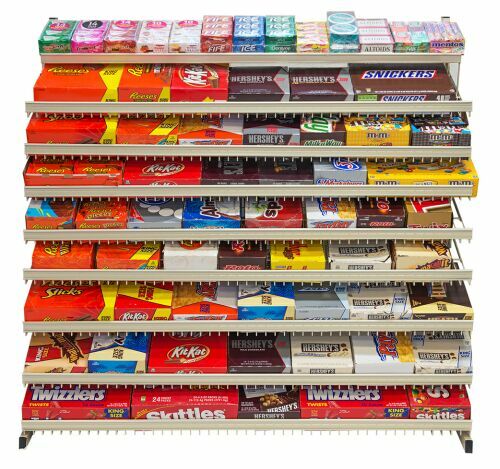 Floor display rack for candy, chewing gum. 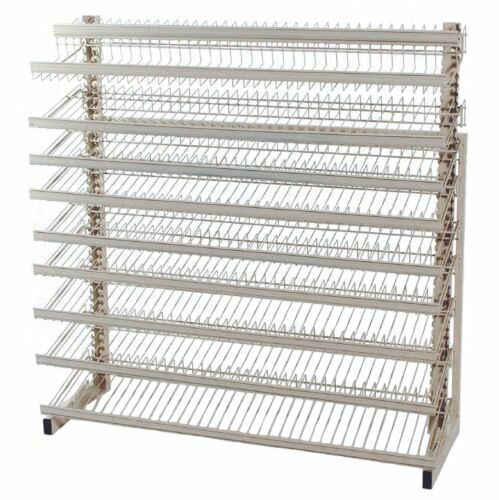 Slant wire shelves allow easy access and visibility to every level merchandise. Overall Dimensions: 49H x 47.5W x 17D. Item #: FD-44 Price: $265.00ea Colors: beige, black. Weight: 92 lbs. ***This item made to order. Please allow 9 - 14 business days for manufacturing prior shipping.